Ahh… America, land of the free and home of the brave, except recent world events have seen a number of US citizens running for the metaphorical hills that are Australia. Yes, we can report that there has been a massive spike in the number of people looking for an Australian visa for US citizens. We can’t blame them really. When the going gets tough in America, Australia really is the perfect place to be. What’s causing the number of people searching for an Australian visa for US citizens to increase? We’re sure it has nothing to do with it, but there is a bit of a correlation between the increase in the number of people looking to apply for an Australian visa for US citizens and recent political changes. We’re pretty confident the actual reason is, of course, that many Americans have realised the Australia is a bloody brilliant place to live. Why wouldn’t they want to move here? This got us feeling more patriotic than a bogan on Australia Day so naturally, we had to put our heads together in the office and come up with a list of reasons why applying for an Australian visa is a great idea for US citizens (or any country’s citizens really – we don’t discriminate). Australians are great at building fences. Nobody builds fences better than Australians, believe us. When our infamous Rabbit Proof fence was built in 1907, it was the longest unbroken fence in the world spanning 1,833km. Crikey! It is possible to apply for an Australian visa for US citizens that entitles you to Medicare. That means from the moment you land in Australia, you will have access to Medicare benefits for a range of medical services, lower cost prescriptions and free care as a patient in public hospitals. Yes – if you get attacked by a drop bear during your stay and need to go to hospital, we’ll help you out for free. If you’re coming to Australia to work, you can rest assured that you will be paid fairly for the work you do. Even working visa holders must be paid in accordance with various Fair Work policies. Isn’t everyone’s dream to spend a day on the beach with a group of great friends and a quiet bevvy (beverage, that is)? In Australia, this dream regularly becomes a reality. Most of our cities are located on the coast which means easy access to beautiful beaches. “No worries”, “No dramas” and “Too easy” are all common phrases you will hear in Australia. You thought there was only one way to say “you’re welcome”? You clearly haven’t met an Australian. We are so laid back here in Australia that we’re completely fine with shortening any word we can. 6. We’re pretty proud of what Australia has to offer. So what are you waiting for? If ‘Merica just isn’t quite doing it for you anymore and you’re thinking about applying for an Australian visa for US citizens, make sure you get in touch with us here at Emergico. 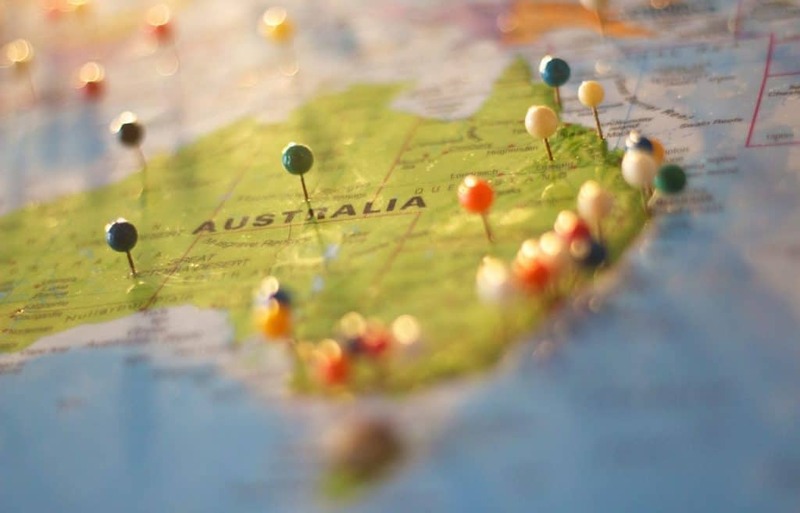 We’d be more than happy to walk you through the visa application process and have you living here Down Under as soon as possible!